Should Investors Get Their Real Estate Contractor License? Should I Get A Real Estate Contractor License For My Investing Business? Today’s real estate investors are expected to wear many hats. From marketing on social media to executing precision selling strategies, there isn’t an integral component to investing that the average real estate investor isn’t intimately familiar with. In fact, you could very easily argue that today’s most prolific investors are those that have expanded their knowledge to account for anything and everything they may be confronted with over the course of a typical deal. That said, it’s only natural for today’s investors to question whether or not they should get a real estate contractor license. With a real estate contractor license, it stands to reason that investors would be more equipped to handle an average, everyday rehab. After all, it can’t hurt to know how to remodel a bathroom or install some intriguing sizzle features. Can it? While the answer is almost a resounding no, there are some pros and cons that need to be weighed before getting a real estate contractor license. Quite honestly, it’s not really a question of whether or not you should get one, but rather if it’s worth it or not. While having a license can only help your prospects moving forward, there are some things you need to take into consideration. Namely, how you view your strategy moving forward. Are you going to treat real estate investing as an occasional hobby, or like a business? Should I Get My Real Estate Contractor License? The answer to this question lies in what you hope to accomplish. You see, whether or not you should get your own real estate contractor license will depend largely on what you want out of your career as an investor. Do you want to simply flip a single home, or do you have aspirations of running a successful home flipping business? If you are content flipping a single property, I could argue that getting your real estate contractor license would be well worth the time and money it takes to do so. That said, I also think a real estate contractor license would benefit anyone looking to flip homes on a regular basis. All things considered, it’s not so much a question of whether or not you should get licensed to contract, but rather if it’s worth it or not. Believe me, there is a difference. As I already alluded to, investors stand to benefit from obtaining their own real estate contractor license. If for nothing else, it’s better to have a license and not need it, than to need it and not have it. The most obvious benefit should go without saying: saving money on labor. If you are, in fact, licensed, it stands to reason you wouldn’t have to hire anyone to complete the jobs you are licensed to deal with yourself. That means you can save a significant amount of money on the rehab process. In the event you had your own real estate contractor license, and were qualified for the specific task at hand, there’s no reason you couldn’t do the job yourself and save on the overhead that would come with hiring a professional. There’s also something to be said about doing a job the way you intended it to be done. If you are intent flipping a single home every now and then, you may benefit immensely from becoming a licensed contractor. Not only will you be able to save money on contractor costs, but you’ll be able to work at your own pace. It’s worth noting, however, that if you want to turn real estate investing into anything more than a hobby, it may not be worth getting your own real estate contractor license. You may be better off hiring professional contractors than becoming one yourself. That’s because, as an investor, your time may be better spent elsewhere: on activities that actually bring in money, like bringing in leads for example. You see, as an investor, your time is invaluable; it’s not only money, it’s everything. You need to make absolutely certain that you are spending your time on the most important activities for your company. And while it might seem like a good idea to save money on a contractor by doing everything yourself, you are essentially detracting from other aspects of your business. Inevitably, if you are working on the house, you can’t be bringing in new leads or discovering new ways to make money. So, you see, while having a contractor’s license is almost always a good idea, it’s not always smart to use it. Sometimes it pays to hire a professional; that way you can be left to do more important things. If that wasn’t enough, there are more factors one needs to consider before they act on their intent of becoming a licensed contractor. For starters, obtaining a contractor’s license takes time. It is safe to assume becoming a licensed contractor will take most people up to five years. More specifically, it can take somewhere in the neighborhood of three years to complete an apprenticeship in a particular trade, and a few more years after that to get to the point where you’re comfortable starting your own business. 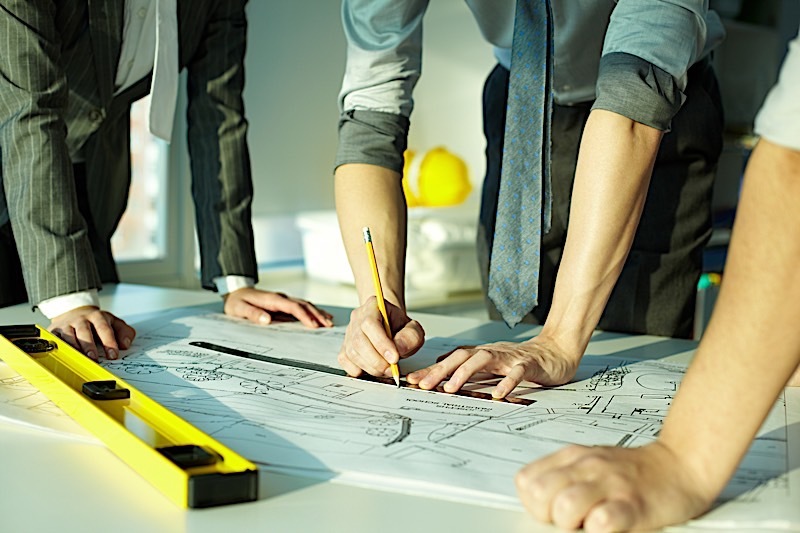 Even completing a degree in construction management can run upwards of four years or more. Choosing a class and specialty: Most states will require you to apply for a contractor’s license of a certain class. More often than not, the class will determine the monetary value of projects you will be able to work on. Next, you will have to choose a specialty, if desired. As an investor, however, it may be best to stick with the most common classification: the general contractor. Name and register your company: To practice as a licensed contractor, you must register your company with your state and/or local authorities. The license will certify that your company is legally able to operate in a given state. Pass a contractor’s examination in your state: Each state will have a test, or series of tests, that one must pass in order to operate a contractor’s business legally. Pass a background check: It’s not uncommon for most states to require their applicants to pass a criminal background check before they can receive their license. Submit your application: Once all of these steps have been completed, it’s time to submit your application. Provided you meet the requirements, you will receive a license to operate as a contractor in your state. The process outlined above is a general guideline, and by no means a step-by-step process for each state. In fact, each state’s requirements will vary dramatically, but the above is to illustrate that receiving a license takes both time and money; two things not every real estate investor will be willing to give up. In addition to the upfront costs and time investment, licensed contractors will only be able to operate in the states they are currently licensed in. Now, as a contractor that’s not a big deal, but as an investor, it significantly limits the pool of properties you can acquire and work on yourself. Out of the gates, you are limited to investing in your own state, which could prevent you from acquiring a great flip candidate just one municipality over. Again, becoming a licensed contractor can be a great move for any investor looking to flip properties. The experience, alone, could prove invaluable on a daily basis. At the very least, it’ll give you a better idea of how to approach your next rehab, but I digress. While a real estate contractor license can be a great tool for investors that know how to use it, there isn’t always a need. Most notably, today’s investors intent on flipping multiple houses at a time would be better off hiring professional contractors than working on the homes themselves. That way, you won’t hold back any projects by doing the job yourself. Instead, hiring the right professionals for the job will prove efficient while simcltaniiulsy freeing up your time for what matters he most: money producing activities. It’s not so much a question of whether or not you should become a licensed contractor, but rather it’s worth it or not. Getting your real estate contractor license can be a good move for those looking to flip a low volume of properties. Anyone looking to run a real estate investing business, where they are flipping several homes at a time, may not need to become a licensed contractor.